The Global Network Initiative welcomes Monday’s decision by the Islamabad High Court declaring shutdowns of mobile networks on the pretext of security illegal throughout the country unless they are accompanied by a presidential proclamation of emergency. This verdict was issued in response to a number petitions challenging the government’s frequent decisions to shut down mobile services in the capital. The decision cited both the resultant harms to citizens’ livelihoods and their illegality under telecommunications laws in Pakistan. The ruling finds that such orders are only legal when a proclamation of emergency has been declared. As GNI has noted previously, precise and transparent legal frameworks regarding government authority to restrict communications do not exist in all states, and provisions for adequate, independent oversight are often absent. While GNI recognizes the legitimate aims of governments to protect public safety, such orders are often disproportionate in their impacts on human rights, and may actually have an adverse effect on public safety. GNI has also pointed out the significant economic harms of network disruptions. Read more about the potential costs of network and service disruptions to economies, societies, and human rights on the GNI one-page guide. Laws governing authorities’ abilities to restrict networks or services in a number of markets where GNI operators are present can be viewed on the GNI Country Legal Frameworks Resource.  Launched in 2008, the Global Network Initiative occupies a unique place in the global conversation about freedom of expression and privacy in the Information and Communications Technology sector. The GNI is a multi-stakeholder forum that brings together companies, civil society (including human rights and press freedom groups), academics and investors from around the world to protect and advance freedom of expression and privacy. A full list of GNI members and observers can be found here.